Carole Bryon is the mind behind London’s new wine bar, Lady of the Grapes, which showcases organic, biodynamic and natural wines from female winemakers. From a French foodie family, wine has always been on her table but it took WSET qualifications for her to build her confidence in what she’s found to be a male dominated industry. As a former advertising art director, what inspired your move into a career in wine? I was an art director for eight years. I initially started this role because of my passion for art but realised after a few years that adverting wasn’t really art. When I started I was quite young (22 years old) and then my vision of life changed. I wanted to find a more tangible job, even if it involved less money. At 30 years old I simply decided it was time to change and chase after another of my passions: wine. As I come from a French and foodie family we always had wine on the table. I started to be interested in it when I was young but without any academic knowledge. As I wanted wine to become my job I decide to start learning through WSET qualifications and found a job as manager at the Grocery Wine Vault which was a great place to train my palate. I now find joy by making people happy with great wine. I know It sounds cheesy but this is the reality. I love it when people are happy with one of my recommendations and ask for more advice. But you know wine is an art. It is all about sensibility. So I think these two passions are not completely distant from each another. Lady of the Grapes is focused on supporting female winemakers. What led you to recognise and prioritise this need for support? Before working in wine, I never realised that the wine industry was male dominated. I started to realise it by the way customers were behaving based on very clichéd stereotypes such as believing that male staff were more knowledgeable. I also started to be interested in the winemakers behind the bottles I love. I saw wine being made by a couple but only the name of the man was mentioned. I felt this was unfair, especially when they both put as much into the product, so I decided to shine a light on women. Half the people in my WSET Diploma class are female and my question is why is there not the same percentage in the industry? I have done some of my own research and found only 30% of sommeliers in the UK are female. I now find joy by making people happy with great wine...I love it when people are happy with one of my recommendations and ask for more advice. Why did you choose to make your list exclusively of organic, biodynamic and natural wines? At the Grocery the wine we sold was mainly from organic vineyards. This was where I fell in love with them. Once you’ve tried biodynamic or natural wines you cannot go back! Natural wines reach complexities and dimensions that you would never get in conventional winemaking. They are living wines with no additives, no or very low sulphites and they contain indigenous native yeasts. They are also better for the environment and winemakers. For me, organic, biodynamic and natural wines are a kind of guarantee and offer transparency. There are little or no ingredients listed on the label unlike other edible products. These wines offer the real thing for health and happiness and real engagement! As a WSET Diploma student, why did you decide to gain formal wine education and how does it help you with your business? When I first thought about opening a wine bar, I was curious about wine but I knew that to build a wine business I had to have more academic, accurate knowledge. Also, a woman always has to be “better” to prove she is a good professional. Once I’d started with the Level 1 Award in Wines I felt the hunger to know more. 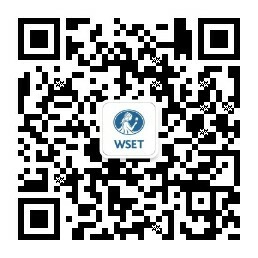 WSET is great training and I would never have the knowledge I have now without it. It is a lot of work (especially when you open a wine bar at the same time) but it is definitely worth it. I also feel that I have more recognition in the wine industry which is really important, especially as a woman, to prove to other people that I have the knowledge and I am qualified to work in this industry. What would you say the biggest challenges are to setting up your own wine bar? The budget is key. Be realistic on what you can or can’t afford (especially when you are independent). I had to knock on a lot of doors to find financing. Your network is really important at this stage. Finding the right location wasn’t easy either but I was lucky to have a friend who wanted to sell his restaurant in the best location ever. Then market research is really important, understand the needs of your potential customers. This was a big part of the business plan. But the most difficult thing is how to manage stress and lack of sleep. When you start working on this kind of project, of course you know it’s going to be difficult but you never know just how difficult it will be. My best advice would be even if it is stressful and things never go as you expected them to, try to enjoy the journey and keep the passion. Passion is the most important thing. Your customer feels this from you as well and that is what really makes the difference.